GofraFlex® Piping systems | Atmosfera™. Альтернативные источники энергии. Солнце. Ветер. Вода. Земля. GofraFlex trademark is owned by ATMOSFERA Company. Products under this trademark are manufactured in South Korea under our specialists’ control. 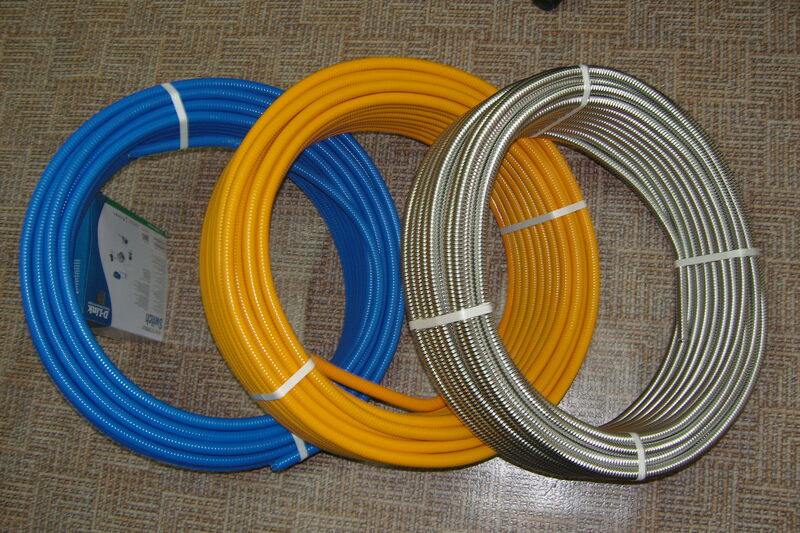 This piping has International Quality Certificate ISO 9001, and is tested by European Institute CNBOP-PIB. A wide choice of standard sizes of pipes and fitting pipes help to use flexible corrugated pipes GofraFlex in gas, water supply and heating systems, heated floors, at laying cable route, in solar systems, fuel and lubricants supply, as well as in automatic fire fighting systems. 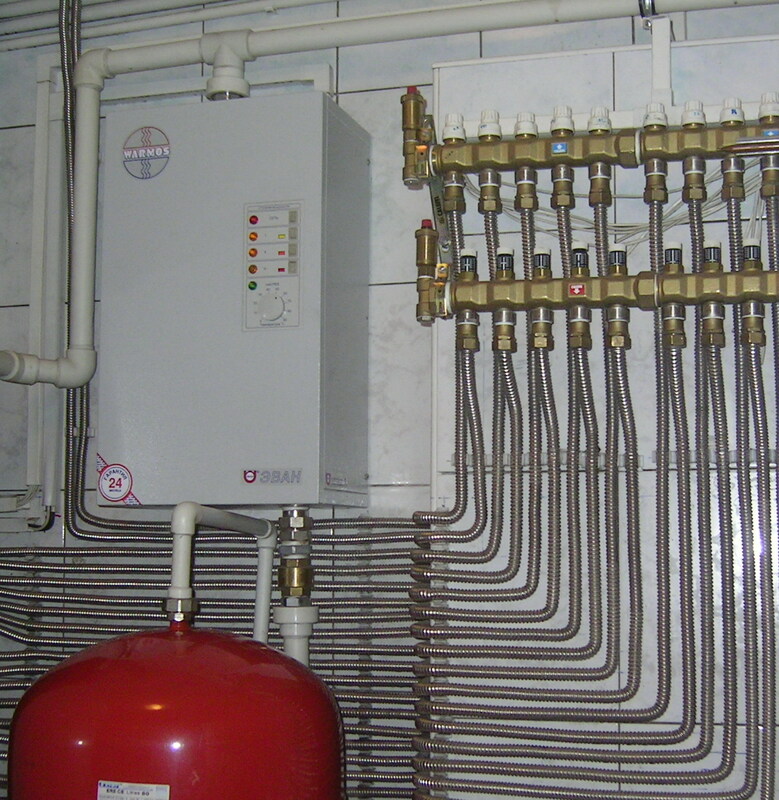 The advantage of a flexible stainless steel piping as compared with the majority of pipes is obvious – it full compensates linear expansions and compressions, resistant to water hammer with operational pressure of 16 atm, and for the short term it may stand up to 60 atm., defrost-, rodents-, mould-, fungus- and corrosion-resistant. Flexible corrugated pipeline GofraFlex is easily assembled – assembling is 5 times faster! All bends of a pipe are made by hands, and all couplings – by means of a wrench of the corresponding size. There are two types of threaded junctions of a corrugated pipe: a slip nut, which requires the use of the pipe expander to fix it on a pipe, or fittings, which use does not require any additional tools or equipment. Corrugated stainless steel pipelines are a good alternative to the majority of pipes available in Ukraine – they are much cheaper than commonly used copper pipes, and compete by price with reinforced-plastic pipes, yet with one essential advantage – their assembly takes much less time and, consequently, less money.